Oprah is without a doubt the biggest promoter of New Age authors and philosophy than anyone else in the world today. THE SECRET is just another New Age deception, being marketed to the public as a miracle solution for all of one’s problems. 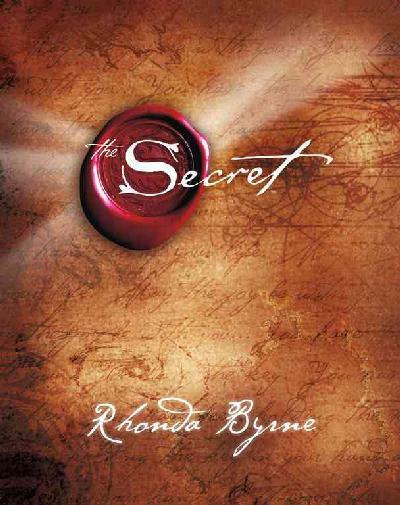 “Towards the end of 2004, and following a string of traumatic events in her personal and professional life, Rhonda Byrne discovered a great secret - the secret laws and principles of the universe. Rhonda's daughter had given her a copy of The Science of Getting Rich, a book written in 1910 by Wallace D. Wattles. Of that moment, Rhonda says, "Something inside of me had me turn the pages one by one, and I can still remember my tears hitting the pages as I was reading it. It gave me a glimpse of The Secret and it was like a flame inside of my heart…"
Rhonda Byrne states that she cried, and her tears fell upon the pages, as she read a 98-year old book titled, “THE SCIENCE OF GETTING RICH.” The author of the book is Wallace D. Wattles. As you will learn, Mr. Wattles was a heathen man, who taught damnable heresies, and was a contributing pioneer of today’s Satanic New Age Movement. SOURCE: The Science of Getting Rich, chapter 5, by Wallace D. Wattles. “And having food and raiment let us be therewith content. But they that will be rich fall into temptation and a snare, and [into] many foolish and hurtful lusts, which drown men in destruction and perdition. For the love of money is the root of all evil: which while some coveted after, they have erred from the faith, and pierced themselves through with many sorrows. But thou, O man of God, flee these things…” (1st Timothy6:8-11). “…Hath not God chosen the poor of this world rich in faith, and heirs of the kingdom which he hath promised to them that love him?” (James 2:5). In view of such overwhelming Biblical evidence, only a fool would dare claim that God wants everyone to be rich. Riches are a road to Hellfire, as we read in Matthew 19:24... “It is easier for a camel to go through the eye of a needle, than for a rich man to enter into the kingdom of God.” There is nothing in the Bible which teaches that God wants ANYONE to be financially wealth in this earthly life. The only means to wealth which the Bible endorses is good old-fashioned hard work and capitalism. SOURCE: The Science of Getting Rich, chapter 6, by Wallace D. Wattles. Whoa! How absurd! Whereas 1st Timothy 6:10 condemns the desire to be rich, Mr. Wattles teaches that it is God working in us Who causes us to desire to be financially rich. Blasphemy! I this what the Bible teaches? In sharp contrast, 1st John 3:16 states, "Hereby perceive we the love of God, because he laid down his life for us: and we ought to lay down our lives for the brethren." Galatians 6:2 states, "Bear ye one another's burdens, and so fulfil the law of Christ." We ought to "lay down our lives" for fellow Christians. Nearly every one of the Apostles were martyred for preaching the Gospel. The Christian life is all about sacrificing for others. SOURCE: The Science of Getting Rich, chapter 17, by Wallace D. Wattles. Mr. Wattles is a New Ager. The idea of "thinking stuff from which all things are made" is 100% New Age doctrine. "God, the One Substance"? What kind of weird idea is that? God is NOT a substance! God is a Person (Genesis 35:9, "And God appeared unto Jacob..."). Jesus came to earth, in the flesh, as the manifestation of the Godhead (1st Timothy 3:16; Colossians 2:9; John 10:33). SOURCE: The Science of Getting Rich, chapter 10, by Wallace D. Wattles. Does this sound like a world that is wonderful becoming? The Bible teaches that “God hath made man upright; but they have sought out many inventions.” (Ecclesiastes 7:29). It is man’s greed, lust, and love of money that destroys him. There is nothing “wonderful” about this sin-cursed world in which we live — where thousands of children die every day from starvation, and men needlessly kill one another in war over oil, and laws are passed to legalize homosexual marriages. New Age teaches that the world is getting better, and that mankind has the inherent potential to become as gods through enlightenment. Of course, the Bible condemns such heresy. Mankind is inherently sinful and prone to destruction (Romans 3:10,19-23). Oprah Winfrey, New Thought, "The Secret" and the "New Alchemy"
Though the demonism of the Middle Ages seems to have disappeared, there is abundant evidence that in many forms of modern thought - especially the so-called "prosperity" psychology, "willpower-building" metaphysics, and systems of "high-pressure" salesmanship - black magic has merely passed through a metamorphosis, and although its name be changed its nature remains the same. The foregoing quote reads like an excerpt from a review of the movie, The Secret. This is not the case, however. Manly P. Hall wrote those words in the late 1920s when New Thought metaphysics was in full swing, and the original self-help gurus combined the burgeoning science of applied psychology with that of Bernays-like manipulative advertising. An eager public was caught unaware and would consume mass market "willpower-building" manuals, by the millions. Each successive generation has had its own purveyors, and the Oprah-inspired phenomenon that is The Secret, as we shall see, stems from the same fount. "Pray! In other words, get an urgent, insistent desire. The first principle of success is DESIRE - knowing what you want." Desire is the planting of your seed. "There is no limit, you know, to Mind. Visualize this thing that you want. See it, feel it, BELIEVE in it. Make your mental blue-print, and begin to build!" The creative power of thought is now receiving increasing acceptance in the West, which is in some cases taking over, and in others, discovering anew, for itself, what was thought by the ancients in India. Because they have discovered it anew, they call it "New Thought"; but its fundamental principle is as old as the Upanishads which said, "what you think that you become". All recognize this principle in the limited form that a man who thinks good becomes good, and he who is ever harboring bad thought becomes bad. But the Indian and "New Thought" doctrine is more profound than this. In Vedantic India, thought has been ever held creative. The world is a creation of the thought (Cit Shakti associated with Maya Shakti) of the Lord (Ishvara and Ishvari). Her and His thought is the aggregate, with almighty powers of all thought. But each man is Shiva and can attain His powers to the degree of his ability to consciously realize himself as such. Thought now works in man's small magic just as it first worked in the grand magical display of the World-Creator. Each man is in various degrees a creator. Thought is as real as any form of gross matter. As identified by the official site of the DVD, Robert Collier is a past secret teacher. Besides Collier, other past secret teachers mentioned in the movie include Aristotle, Beethoven, Alexander Graham Bell, Joseph Campbell, Andrew Carnegie, Winston Churchill, Thomas Edison, Albert Einstein, Ralph Waldo Emerson, Charles Fillmore, Henry Ford, Charles F. Haanel, Victor Hugo, Carl Jung, Martin Luther King, Isaac Newton, Plato, W. Clement Stone, Thomas Troward, and Wallace D. Wattles. Mr. Wattles elevates his own personal writings above the Scriptures. In John 5:39 Jesus commanded us to… SEARCH THE SCRIPTURES!!! But, Wallace Wattles tells us instead to read, memorize, keep, and look ONLY to his book —THE SCIENCE OF GETTING RICH. Mr. Wattles is of the Devil, as are his demonic teachings. A born-again believer only needs One Book and that is the Bible, God's Word. SOURCE: The Science of Getting Rich, chapter 15, by Wallace D. Wattles. Mr. Wallace teaches that preachers ought to water-down the Truth — never speaking of a sinful world, or of the end of times, or of a Hell that burns with fire and brimstone for all unbelievers. Rather, Wattles says that preachers ought to teach about getting rich, pursuing well-being, and exploiting others with influential love. Yeah, it’s called a Health, Wealth, and Prosperity gospel, and it’s taught all over the place today in apostate churches. We are living in a selfish generation of religious-seeking heathens — who desire health, wealth, and prosperity; but refuse to accept the reality of the Word of God. These people reject the saving power of the Gospel of Jesus Christ (Romans 1:16; 2nd Timothy 3:5). Such apostate churchgoers have no problem with homosexuality, no anger over abortion, no qualms about false doctrines taught in the church, et cetera. The world is filled today with falsely professed Christians, who have never been born-again, and are woefully ignorant of the Truth of God’s Word; yet, they write books, appear on the Oprah Winfrey show, and lead multitudes into Hell. Mr. Wattles mentions the name of “Jesus” numerous times in his book; yet, he speaks of his god as “One Substance” and talks of men “creating energy” from within themselves to be channeled to achieve success. Wattle's gospel is a financially abundant life achieved through increased self-awareness and meditation. This is 100% New Age doctrine. "The New Thought Movement or New Thought is a loosely allied group of organizations, authors, philosophers, and individuals who share a set of metaphysical beliefs concerning healing, life force, Creative Visualization, and personal power. The New Thought Movement developed in the United States during the mid to late 19th century and continues to the present time. It promotes the ideas that God is all powerful and ubiquitous, spirit is the totality of real things, true human self-hood is divine, divine thought is a force for good, most sickness originates in the mind, and 'right thinking' has a healing effect." Interestingly, Mary Baker Eddy, the founder of Christian Science, was a disciple and patient of New Thought pioneer Phineas Quimby. Here's a list of New Thought organizations. New Thought is demonic, because it denies Jesus Christ as the Savior. There's not a dime's difference between New Thought and New Age. Like New Age, New Thought REJECTS any attempt to compel humanity to worship God in any particular or prescribed manner. Thus, the Biblical proclamation in Acts 4:10-12 that there is NO salvation apart from the name of Jesus Christ, is totally rejected in New Thought and New Age teaching. New Thought and New Age are of the Devil. I took much time to expose the author, Wallace D. Wattles, because his book, THE SCIENCE OF GETTING RICH, is the basis upon which Rhonda Byrne concocted THE SECRET. I could not help but LAUGH at the idea of Rhonda Byrne crying over the content of Mr. Wattles' book. Certainly there is nothing to cry over, except that it is such a terrible piece of work. Wattles was a New Ager, who believed that true human selfhood is divine. Wattles adamantly rejected the Biblical teaching that salvation can ONLY be obtained through faith in Jesus Christ. THE SECRET is nothing more than New Age mumbo-jumbo, based upon New Thought, which teaches that a person can solve all their life's troubles through New Age techniques. Whereas the Bible teaches that we can be "complete" in Christ Jesus (Colossians 2:10); Wattles taught that only though his book could a person be helped. Mr. Wattle's is a liar. Money, money, money — There's a sucker born every minute. It seems that everyone is looking for an easy way out these days. It is sad that millions of people are buying garbage like, THE SECRET, that is produced by unsaved heathens who love not the Lord Jesus Christ, and only want your money. Jesus said that THE TRUTH would set us free (John 8:32); NOT, "The Secret." The Truth of God's Word is free, openly available to anyone who desires It's Truths, and it won't cost you a penny. You don't need "THE SECRET"; you need the revealed Word of God, and we have It in the King James Bible.